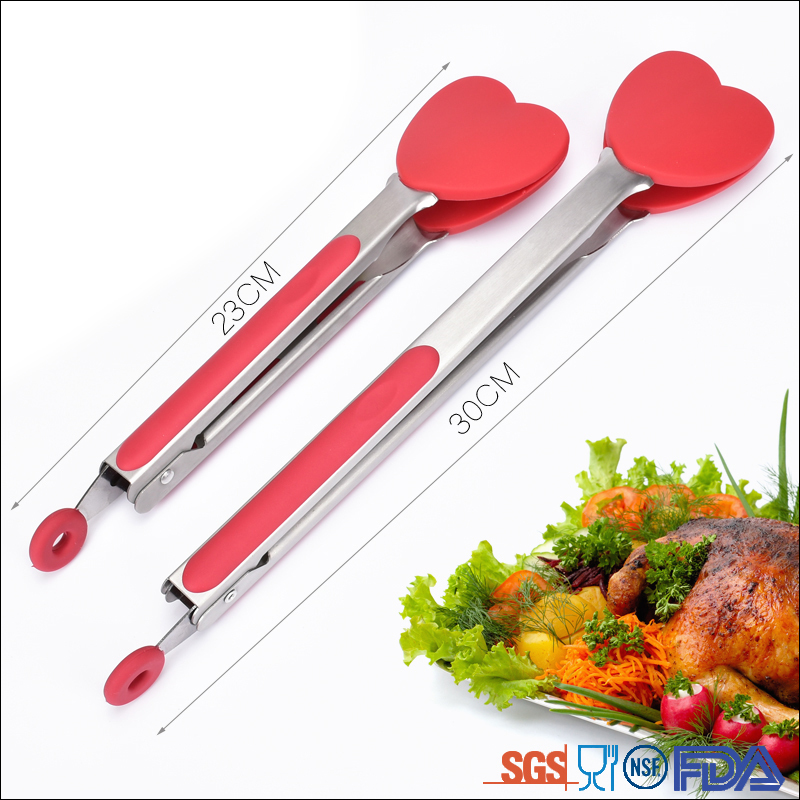 S003 is a Christmas theme gift heart shape Silicone Kitchen Tong, Christmas theme gift is very popular in supermarkets annual, Silicone Tong as a great Kitchen Accessory is a good choosing to be selling on promotion activities. 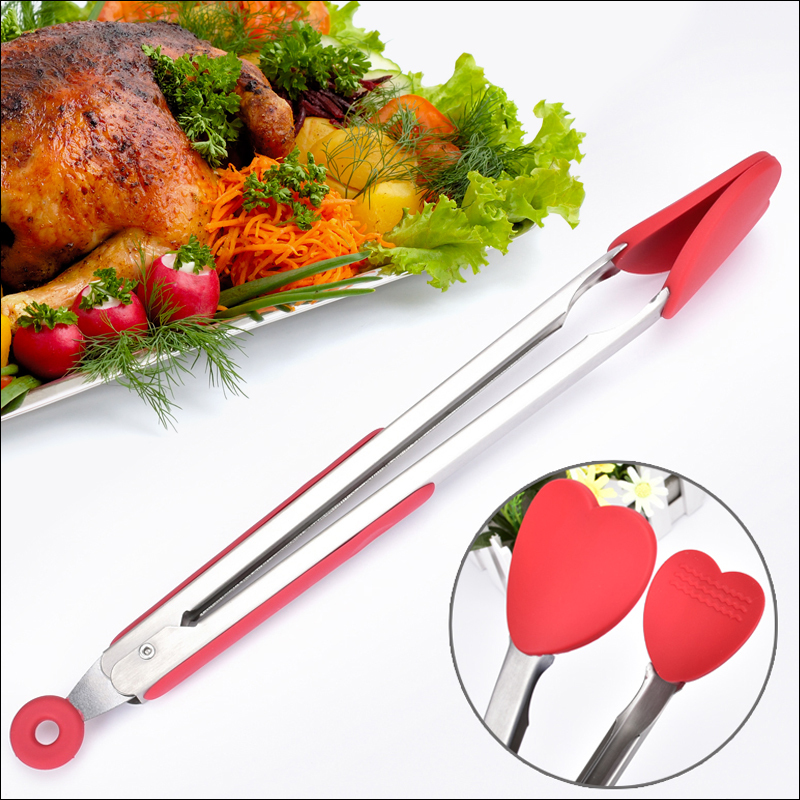 It is unique shape, heat shape head, the materials are food grade, durable and good looking. 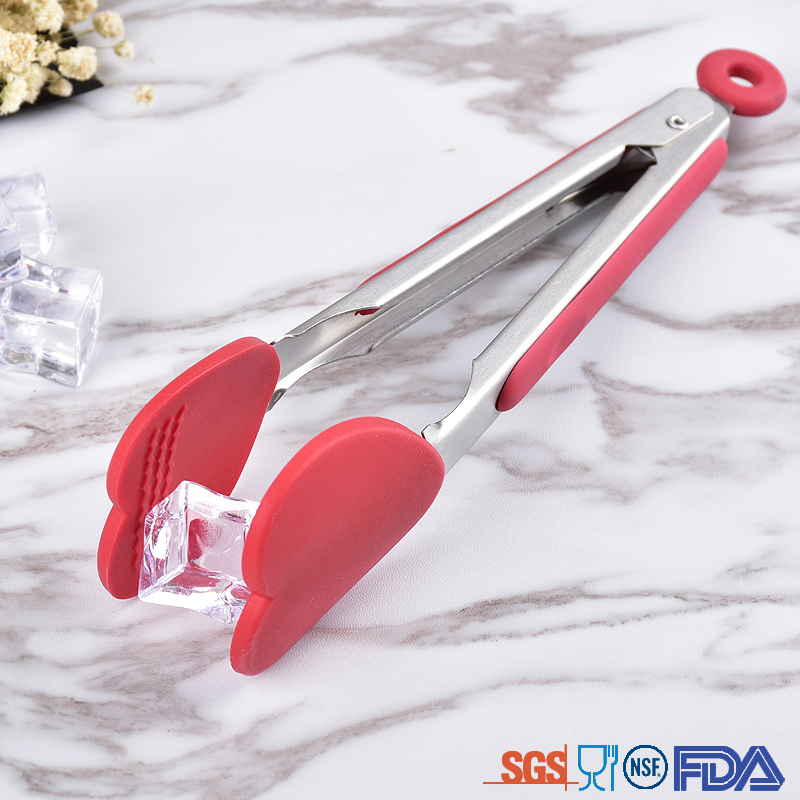 Our Silicone tong is high quality Food Tongs, they are made from food grade silicone and stainless steel, it is easy to use, with higher temperature and corrosion resistance compared with Stainless Steel Tong and Nylon Tong. 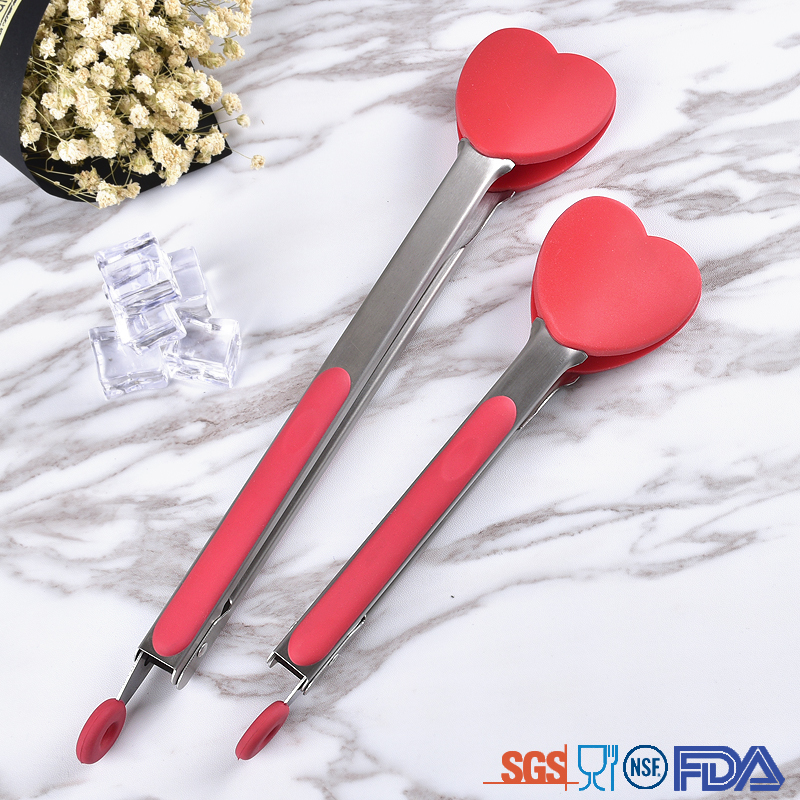 Looking for ideal Silicone Kitchen Tong Manufacturer & supplier ? We have a wide selection at great prices to help you get creative. All the Christmas Theme Tong are quality guaranteed. 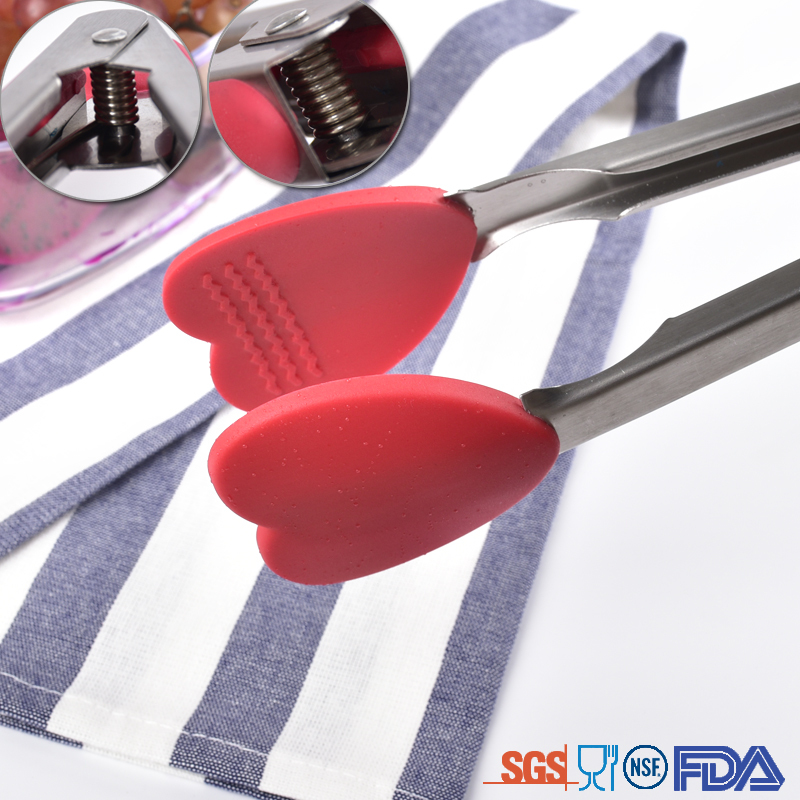 We are China Origin Factory of Christmas Gift Silicone Tong. If you have any question, please feel free to contact us.